(TCRN) — The American Civil Liberties Union has released documents from the Central Intelligence Agency’s Office of Medical Services detailing a secret history of CIA torture operations. The 90-page account was written by an unknown top CIA medical official and explains how CIA doctors were looking for a “truth serum” drug they could use on prisoners as part of a formerly classified project known as Project Medication. U.S. government lawyers have previously stated that the report was a draft and represented the impressions of one single officer not the opinion of the whole agency. The report states that there were two roadblocks to using Versed as the potential truth serum: “a prohibition against medical experimentation on prisoners and a ban on interrogational use of ‘mind-altering drugs’ or those which ‘profoundly altered the senses.’” The U.S. intelligence community’s quest for a truth serum goes back to at least the 1950s. From the early 1950s to the early 1970s, the U.S. government funded millions of dollars worth of research into LSD, including the CIA’s infamous MK Ultra program, which sometimes tested LSD on unwitting participants and investigated the possibility of using the drug as a “truth serum” against spies. The official version of events says that MK Ultra was shut down and attempts at mind control were ceased. 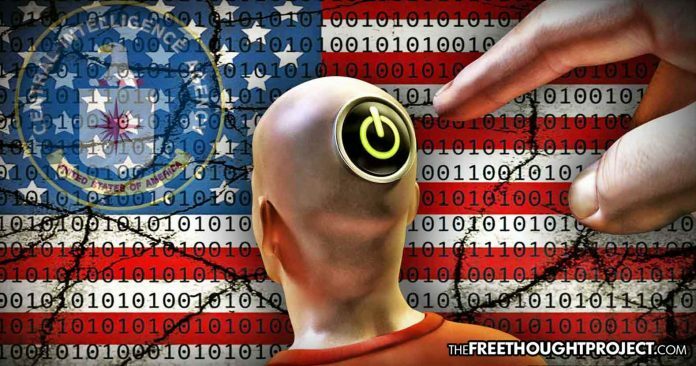 Despite the claims by the CIA and authorities, attempts at mind control continue to this day, albeit in more subtle forms such as advertising and technology. Either way, as the ACLU notes, mind control was officially off the table, but “decades later, the agency decided to experiment on humans again, testing pseudoscientific theories of ‘learned helplessness‘ on its prisoners.